I've added a couple of new pledge options at £10 and £12 to the Character Sheet Kickstarter Campaign. These get backers the same reward as the £7 pledge (2 pads of Advanced sheets and, if we hit the stretch goal, 1 pad of Basic OSR sheets), but they also include PDF back issues of Oubliette. The £10 pledge allows backers to select any 4 PDF back issues of Oubliette (worth up to $10.50). The £12 pledge gets backers a full run of all 8 PDF back issues of Oubliette (worth $18.50). That means that if you were thinking of picking up a full set of 8 issues anyway, for about the same money you could also get up to 3 pads of character sheets including UK delivery (+£5 for overseas). I've kept an eagle eye out for news of any Lego Heroica releases, but it appears that there will be no new sets for 2013. Last year, Lego released Ilrion (a set that adds a Vampire Lord, Giant Vampire Bat and Zombies to the Heroica lineup). 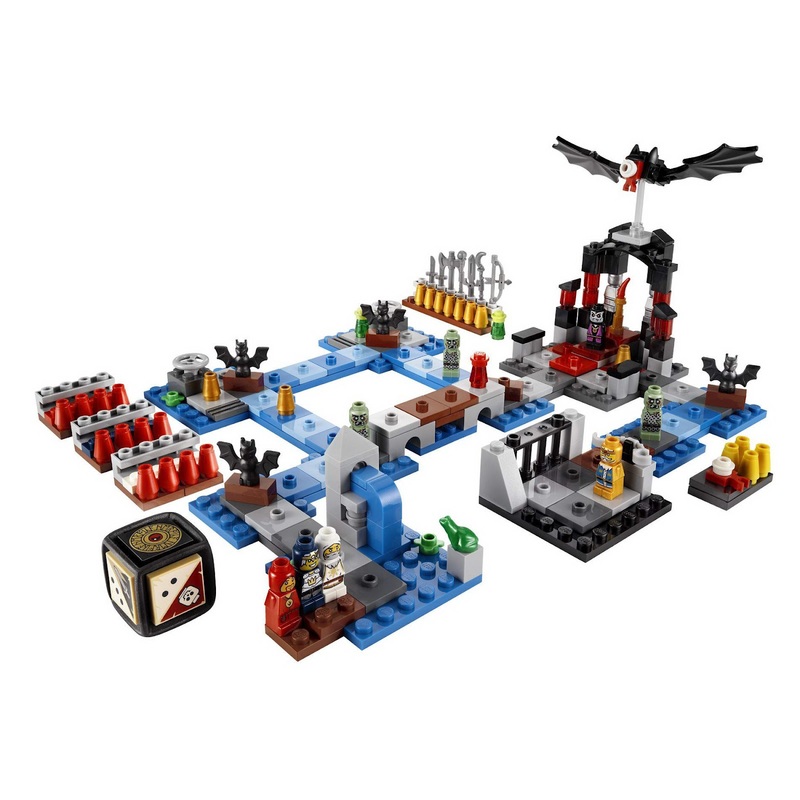 In the UK, this set is only available directly from Lego online (and probably at the 5-6 official Lego stores), so it is quite a rarity. 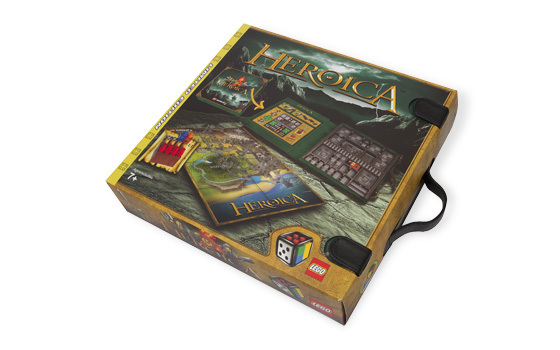 In addition to the Ilrion set, I also recently picked up a Heroica Storage Mat from ebay. Whilst this is a nice item it fails in its main purpose (storage) as it can't hold the full set of Heroica game sections. However, it does come with a very nicely made, fold-out game board that is perfect for setting all the Heroica games out for play. Fancy Being the next CEO at Games Workshop? Games Workshop have dispatched headhunters to find a new CEO to replace Mark Wells, who's been at the helm for the past 5 years. I haven't had a call from them yet, but I still thought I'd do some prep so I can hit the ground running. My masterplan for "moving the business forward", as MBA types like to say, is to take GW's £11.1m profit from last year, and use it to buy the Dungeons & Dragons name and back catalogue. After that I will begin a major roll-out of B/X and AD&D rules and adventures, whilst at the same time cutting most of the current Warhammer lines. If, no, when this strategy succeeds, I shall begin a programme of recasting classic Citadel miniatures from the 80's. In keeping with the spirit of the company, I will keep GW's strict restricted toilet break policy for staff (oops sorry I mean colleagues) though. 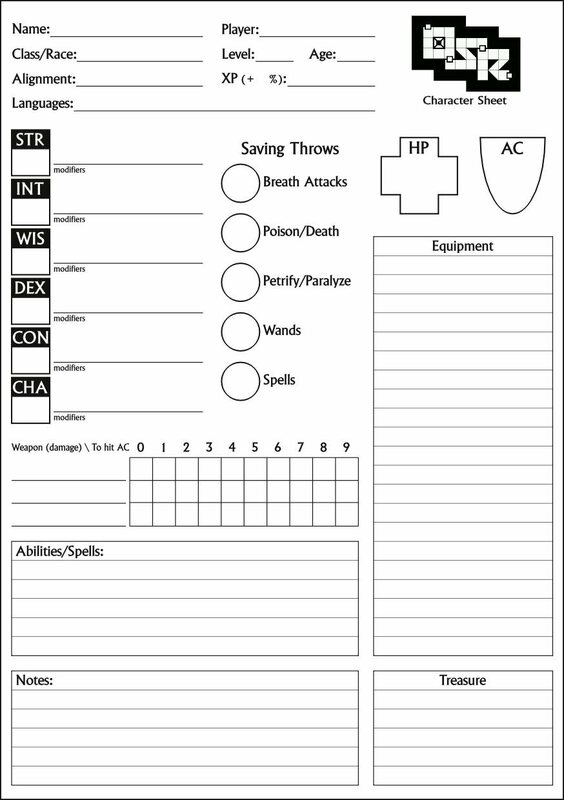 Retro 1st Edition Character Sheet Pad Kickstarter Now Live! 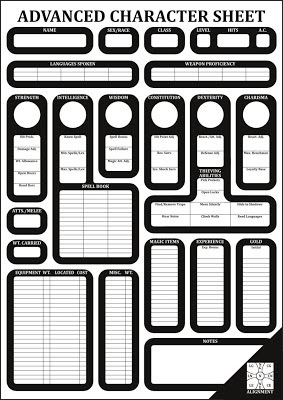 Last summer, I tried a small crowd-funding project to fund a print run of some B/X Character Sheet Pads. It didn't make its funding goal (I suspect because of the unavoidably high cost of overseas postage and also because it was on Indiegogo rather than Kickstarter). 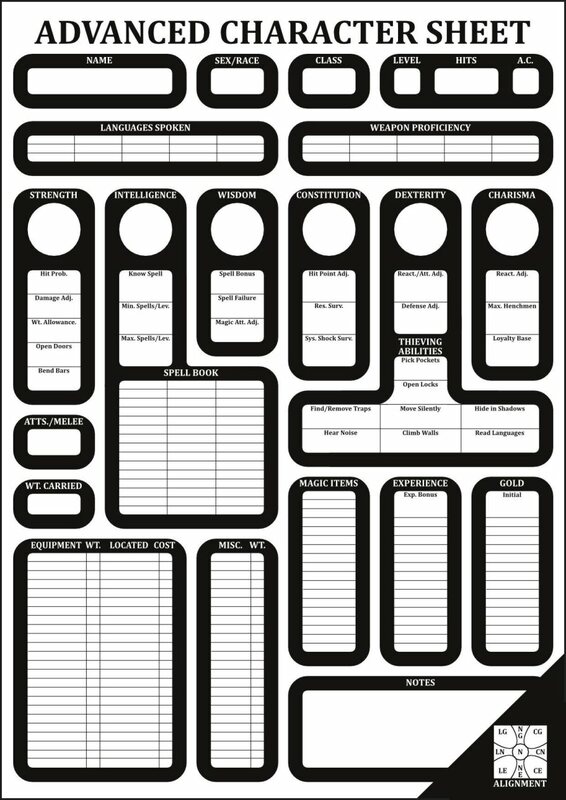 One of the good things that came out of that campaign was a spin-off DTP reworking of a 1978 1st Edition Character Sheet. Everytime I looked at this sheet, I could not help thinking that it would be a great item to get printed and, if truth be told, it probably should have had star billing last time around. 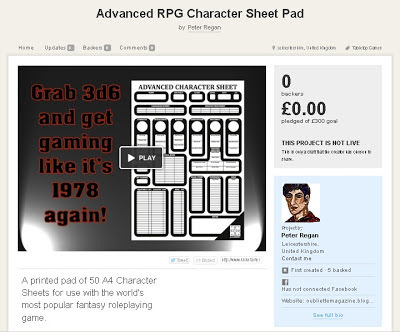 So today I'm launching a new crowd-funding project for pads of my version the 1978 1st Edition Character Sheet (this time on Kickstarter, as they are now allowing UK projects). Link to Character Sheet Kickstarter.